Air New Zealand has lost one of its first female captains to a suspected brain aneurism shortly after she landed NZ175 a Boeing 787-9 in Perth. Captain Ann Barbarich a 27 year veteran with the airline, was well respected in the Air New Zealand and New Zealand Aviation communities. She was part of a four man flight crew on board the flight, and made a textbook landing before becoming unwell. She was initially treated by doctors on board before being rushed to Perth hospital. The thoughts of this blog are with her family and colleagues after this terrible event. 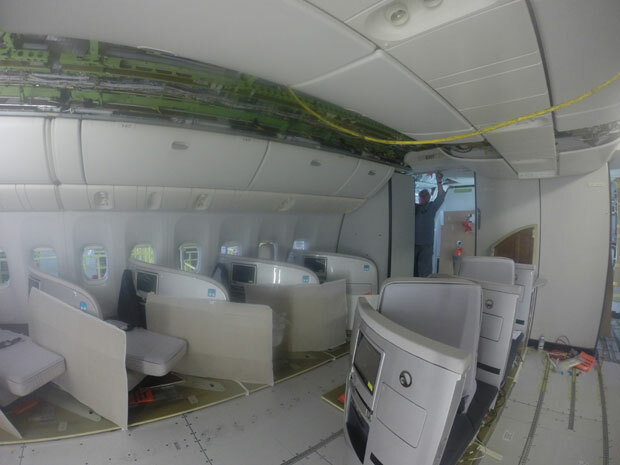 The New Zealand Herald have also run an article this week on the interior refits of the Air New Zealand Boeing 777-219 fleet. The article and video mentions and shows the second of the aircraft to undergo the upgrade ZK-OKE.